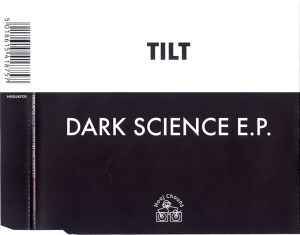 Tilt ‎– Dark Science E.P. Agree with the below reviews, I have had this 12'' since 2000 and never get tired of listening to it, at least "Seduction Of Orpheus (Tarrantella Vs Redanka Remix)" anyway, a very fine tribal/prog track. the b-side - 36 (Tilt's Numerology Dub) is the standout for me though 5/5. Tarrantella Vs Redanka Remix is progressive trance and tribal fusion, nice track. I have owned this cd for more then a year, and I'm still listening to it. All tracks follow a dark, progressive house trend that Tilt has mastered in other, various earlier releases. My personal favourite is the T&R remix of 'Seduction of Orpheus', absolutely brilliant, two of the best house names coming together for a terrific song. 36 is nothing like what I imagined at first pre-owning the cd, its dark nature and incredible song structure make both the remixes pieces of art. The Hydravox remix has vocals by Zee, while the Numerology Dub has no vocals. Trust me, buy the cd and you will not regret it.